A few months ago, Mustafa Akyol published a book which I fear will not be paid enough attention to among the Muslim educated public, for reasons I wish to explain before I present the ideas contained in it. Secondly, Akyol is a bright young Turkish columnist and thinker with a moderate Islamic tendency, who has dealt with a large variety of topics, but unfortunately at some point he got enamored with Intelligent Design, and his support and collaboration with the American ID movement (the Discovery Institute) stained him for some time (he has since backed away from that belief and relationship). These conservative links, I fear, and the fact that the title does not give a clear indication of the author’s thesis, may negate the book’s impact. That would be a shame, because this is truly an important book, one of the most important ones to come out on Islam in recent years! 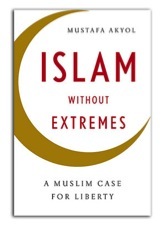 The book should have been titled “A case of Islamic liberalism”, with perhaps as a subtitle, something like “how Islam can support various freedoms”. Indeed, what Akyol is arguing in this book is the fact that Islam not only can support a variety of freedoms (of speech, of belief and unbelief, of capital venture, etc. ), it indeed started out that way in the first century or two, before veering toward what is now seen as the “orthodoxy” and before, in the past century or so, producing extremism, i.e. fundamentalism and even jihadism. What is important to stress is that Akyol is not a secular humanist who believes that religion should just be abandoned or relegated to the mosques or at most to the privacy of one’s home life; he is a young modernist (has gone to school in private English-language schools in Turkey), one who is well read, well-traveled, and well connected with thinkers and institutions worldwide; he believes that secularism (that a state should not be built on religious principles but rather constructed by society on the basis of the best management methods) must not oppose people’s religiosity, and Islam can indeed fit well within a liberal political, economic, and social system, where everyone lives freely and happily. Indeed, Akyol is equally strong in his condemnation of, on the one hand, the “brutal non-Islam” of rulers like Mustafa Kemal (Ataturk) and somewhat milder versions elsewhere (in Syria, for instance), and on the other hand of fundamentalist movements like the Taliban and somewhat milder versions like Wahhabism. The book is divided into three parts. In the first one, Akyol reviews the pre-modern history of Islam, with the intention of showing that Islam started right and produced a liberal system where freedom in society increases and widens in all areas and at all levels, but then it went wrong. He pinpoints the double shifts in Islamic thought in: a) the turn in jurisprudence from Abu Hanifa’s (d. 767) principles of reason in constructing Islamic law (based on qiyas, analogy, istihsan, preference for the common good, and ra’y, scholarly opinion) to Shafi’i and others; b) the defeat of Mu’tazilite theology (in the 9th century CE) and the dominance of the conservative Ash’ari theology ever since. He also bemoans the Islamic culture’s failure to adopt Al-Farabi’s philosophy of democratic rule and political freedoms. 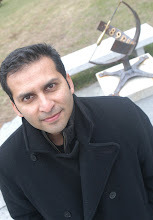 Indeed, one of the strengths of Akyol’s book is in showing, with serious references throughout, how the principles of liberalism (minimal involvement of the state in the lives and affairs of the citizens, plus full rights for everyone, including non-Muslims) can be found in Islam and indeed in the Qur’an itself. In Part 2, Akyol looks at the history of the Ottoman Empire and attempts to show how it did gradually move toward liberalism, at least in terms of giving non-Muslims full citizenship rights. Indeed, he finds support to his earlier thesis in the fact that the Ottomans (and Turkish Muslims today) subscribe to the Hanafi school of jurisprudence (although the later versions of it substantially diluted Abu Hanifa’s rationalist methodology) and to the Maturidi school of theology (which is somewhere between Mu’tazilism and Ash’arism). Then Muslims went wrong again, early in the twentieth century due to the following causes: a) western colonialism and imperialism (political, military, cultural); b) Muslim rulers’ turn to communism and to suppression of Islam. Akyol sees Islamism in general, and jihadism in particular, as reactions to the general western offensive again Muslims, their lands and their culture, and to the subjugated state of Muslims who saw it as an obligation to fight back (with various means). The last part of the book is the boldest and most important. In it, Akyol presents his views for the future of the Muslim society. His vision is a resolutely liberal one, albeit one where Islam remains as a prime social factor, but where subscription to and practice of Islam becomes a purely individual decision. He explains that the current “Turkish model” (the AKP’s socio-economic policies), now widely seen as a positive model to be emulated by Islamic movements elsewhere, is the result of fifty years of development and progress on the Turkish socio-political front. Akyol is not afraid to tackle the most difficult issues facing Muslim leaders today, i.e. freedom of apostasy and freedom of blasphemy; indeed, the titles of the last three chapters are clear and bold enough: “freedom from the state”, “freedom to sin”, “freedom from Islam”. He does his best to convince the reader that there are Islamic principles to allow of that (the pages on the difficult topic of apostasy are quite good); for instance, he distinguishes between the “rights of God” and the “rights of men” in people’s actions; he reminds us that Prophet Muhammad never punished anyone for apostasy, that Islam rejects coercion, that punishing people for not abiding by Islamic rules only needs to hypocrisy, etc. I think this last part is not as tightly argued as the previous ones, but for a first attempt, this is already a very strong effort. I don’t think the orthodox minds will be happy with these propositions and they will probably have strong (traditional) arguments to hit back with, but at least we are now seeing serious debates on such crucial questions. This is a bold and important book, and I hope I’ve convinced you to put it near the top of your reading lists. I honestly think it is one of the most important books of 2011; if you have any serious interest in Islam and its future, do make sure you read this. Sounds like an interesting read and it will go on my list. I have read and heard a lot of this in disparate places before but it will be good to get it tied together with some historical backup in one volume. It will be interesting to read his views on Islam as a private practise and what the state, secular or otherwise should do to enable this. No religion is truly practised in the private sphere. It is in the public sphere that potential conflicts exist. I live in a democracy where Islam is an official religion yet some aspects of public practice are definitely not protected. For example in the area of employer/employee relations there are problems with allowing Muslim employees time to perform daily prayers and in particular the Friday prayer. There is also an issue of requiring female employees to wear islamically inappropriate clothing. In states where an Islamic party is in control alcohol outlets are regulated and taxes from the sale are used for non-Muslim community development. This makes the environment far more family friendly. It stands in contrast to the state I live in. Between navigating through haphazardly parked cars blocking most of the road and avoiding wandering drunks, multiple pubs in the main streets of the shopping centre make a night trip to the shops a tricky business. The situation is different in my home country where the distinctly secular government asks employers to provide a private prayer space for employees and to use rostering arrangements where possible to enable employees to participate in religiously important occasions. If we were to look at this from the perspective of Islam, the concepts of Maslaha, (public good) and Sad al-Dharai, (blocking lawful means which could lead to unlawful practices) come to mind. In reality all laws regulating behaviour have an aspect of these two even n the most secular of states. It will be interesting to read Mustafa Aykol's views on this if they are in his book. Hadith 1 and Hadith 2. There are other Hadiths too. Most Islamic scholars even support this. Thanks, Gary; your comments are always spot on. Akyol is aware of that public vs. private space tug-of-war when putting laws in place when religion is important in a given society (and indeed, Islam largely extends into the public sphere). His main argument is that while a society/governing-body can issue any law it votes in (while staying within the constitution, universal rights, etc. ), those laws can be drawn from religious principles, but the state should try to be as neutral as possible w.r.t. people's behavior, if the latter does not affect "the rights of men" (as opposed to "the rights of God", which is religious injunctions). As I said, that part is not so tightly argued, but he has made a commendable effort, which will lead to a healthy discussion and hopefully progress. Akyol is aware of the apostasy hadiths, but his point is that Prophet Muhammad (PBUH) never implemented any "law of apostasy".